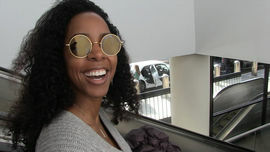 Kelendria “Kelly” Rowland is a founding member of the girl group Destiny’s Child. She was born on February 11, 1981 in Atlanta, but grew up in Houston. The Grammy and Billboard Music Award winning recording artist has also dabbled in acting, hosting and reality competition judging. 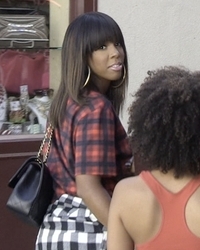 Aside from the group, Rowland has also pursued a solo career in music. She married manager Tim Weatherspoon in Costa Rica in May 2014. The couple has one son, Titan Jewell, who was born in November 2014. On Super Bowl ... I Would Not Perform! 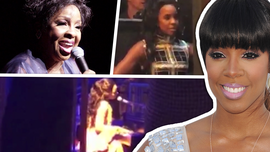 Looks, Sings Just Like Gladys Knight ... And It's SPECTACULAR!!! Reach Out to Michelle ... We Have Your Back!! There's No Debate Michelle Obama IS Forever First Lady!!! Bey, I'm Down for a Reunion, Too ... Call Me?